I read this book in a day, it was a definite page turner and got my attention. My first encounter with Stephanie Perkins was in her collection of short holiday stories; My True Love Gave to Me. I was impressed then, she captivated me with the way she wrote and her cute idea of being attracted to a voice for her project. I picked this book to read out of the hundreds on my TBR shelf because I wanted something fun and more realistic fiction. This book was perfect. It was just what I needed, and I can't believe I waited so long to read it. Anna and St. Clair are frustrating in parts, but you can totally feel the love they have for each other throughout the book. It also makes me want to visit Paris. 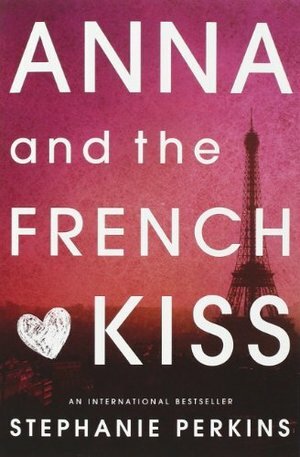 I'm very eager to read Lola and the Boy Next Door and Isla and the Happily Ever After because if they are anything like Anna and the French Kiss I'll be one satisfied reader.